For new septic system design and installation in North Bend, WA, VAC-TEC, LLC is the company to call. We offer new septic system services that match the needs and budget of our clients. Whether your need a new septic system for either your home or commercial property, our technicians are here to help. Our friendly, attentive staff is available to address your questions regarding new septic system installation and ensure you understand the process every step of the way. When you need a new septic tank installed we are the company to call. 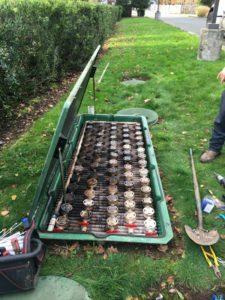 You can count on our skilled and trained technicians who use the latest equipment and methods for septic tank installation. One of the most common questions asked is about the cost of septic tank installation. The price of a septic tank installation depends on various factors, such as the size of the septic tank and soil conditions. 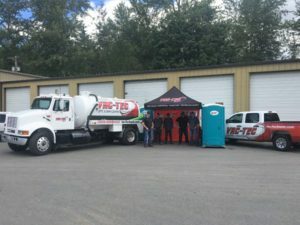 We thoroughly assess the site and your use of the property and then provide a free estimate for your septic tank installation in North Bend. Facing septic system problems? We are the professionals to call when you need to replace the septic system you have in your home or business. We know how to replace septic systems quickly, safely and most importantly, affordably. Ensuring our clients are happy is our number one priority. When you choose us to replace septic systems in North Bend, you are choosing a team of professionals who treat your property like their own. This gives us a competitive edge, making us the go-to company to repair or replace septic systems in the area. For any further information regarding our new septic system services for North Bend residents, call VAC-TEC, LLC today at (206) 339-0039.